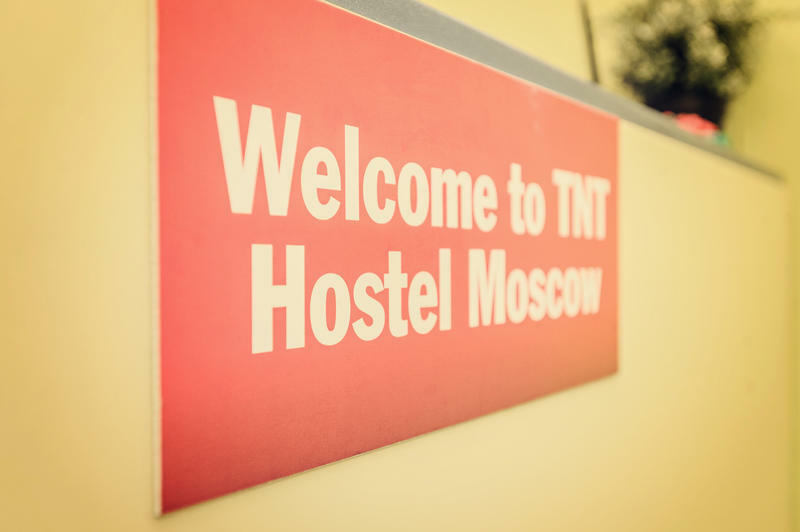 TNT Hostel Moscow is located in the heart of Moscow's historic and cultural center. Just 10 minutes walk from the Red Square and the Bolshoi Theatre and 2 minutes from the Metro Trubnaya. Comfortable rooms, great location, low prices, it's cheap and comfortable accommodation in the center of Moscow. Our hostel is ideal for travelers, backpackers, business travelers employees, small tourist and business groups up to 20 people. The hostel has everything you need for your stay - kitchen, shower room, free WiFi, Internet cafe, reception, luggage storage, laundry facilities, free tea and coffee. Next to the hostel there is a parking lot of cafes and restaurants. All major attractions are within walking distance. Our staff speaks many languages ​​and always happy to help our guests. For the convenience of our guests, we offer transfers and excursions. We offer visa support for our foreign guests. Nearest Metro station: Trubnaya (2 minutes walk). Coming out of the glass doors, turn right and walk to the intersection. Cross the street to your left and another in the direction of the shopping center 'Neglinnaya Plaza.' Go straight without turning. Pass first pedestrian crossing and turn to the left on Zvonarskiy pereulok. We are located in building 5 on the left side of the street. On the intercom dial 6 to connect with administrator and go upstairs on the 3rd Floor.